Did you know that dogs almost sleep half their life, the equivalent to 14-16 hours a day? And, did you know that puppies need more sleep than adult dogs, 18 hours or more per day? As a dog owner, the sleep behaviour of dogs is a must-know! Dogs almost have the same sleep patterns as humans. When they first go to sleep, they enter the quiet phase of sleep. They lie still, oblivious to their surroundings. The breathing slows, the blood pressure drops, and the heart rate decreases. When dogs enter the active stage of sleep they roll their eyes under the closed lids. Additionally, they often bark, whine or jerk their legs. During this stage, the brain activity is similar to that seen during the dreaming sleep of humans, and is evidence that dogs have dreams too. Exactly how much and when a dog sleeps depends on the level of activity during the day, the breed, the age and the personality of the dog. Due to the huge quantities of newly acquired data puppies sleep more than adult dogs. Larger breeds such as the Mastiff or the Newfoundland also sleep more than 14 hours per day. 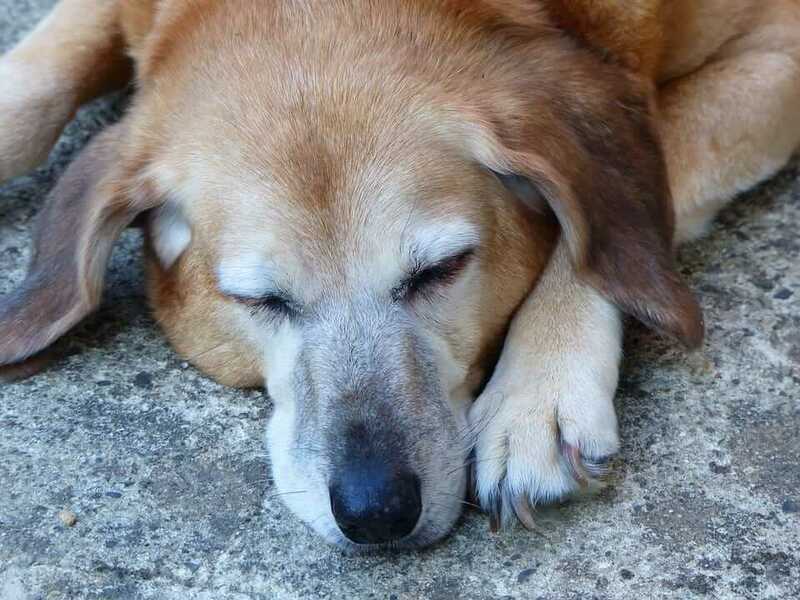 Dogs in a quiet home may sleep more, while dogs in active environments will sleep less. However, dogs are able to adapt their sleep behaviour to their surroundings so that they can be awake when there is something to do, and asleep the rest of the time. Some indoor dogs may sleep out of boredom. You can help your pet by providing plenty of stimulation during the day in the form of toys, companionship, or plenty of walks and playtime. If your dog has a high activity level and has enough to do during the day, he may stay awake when the sun is up and sleep at night when you do. If your dog tends to sleep more than the normal amount, this could be a symptom of disease. If you don’t know whether the amount of sleeping is normal or not, you can always contact a veterinarian. Dogs have different stages of sleep, just like we have. Dogs almost sleep half their life – 14 to 16 hours a day. The phrase, let sleeping dogs lie, holds a lot of truth. 60% of all dog bites happen to children when they try to wake a dog in a deep sleep. It is important to always teach children not to approach a sleeping dog. Puppies and older dogs dream more than middle-aged dogs. Which kind of sleeper is your dog? The different types of sleepers are divided in 4 different categories. Is your pup curling up like ball? Or is he/she maybe more of a side-sleeper? See the different types of sleepers right here! So, which kind of sleeper is your dog? You can tell us in the comment field below.